Height: Select42" to 44" 44" to 46" 46" to 48" 48" to 50" 50" to 52" 52" to 54" 54" to 56" 56" to 58" 58" to 60" 60" to 62"
Wishon Future Pro Junior Clubs offer a higher quality alternative to less expensive aluminum or zinc heads AND are custom fit for your youngsters height and weight. 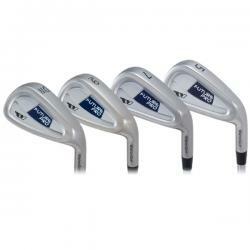 The stainless steel iron heads are easily bent for lie and loft fitting for kids. All Future Pro clubs are designed for ages 6 to 11, with increased loft to ensure early shotmaking success. 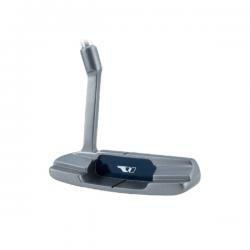 Stainless steel metalwoods have a dark blue finish while the irons have bright, high polish finish. 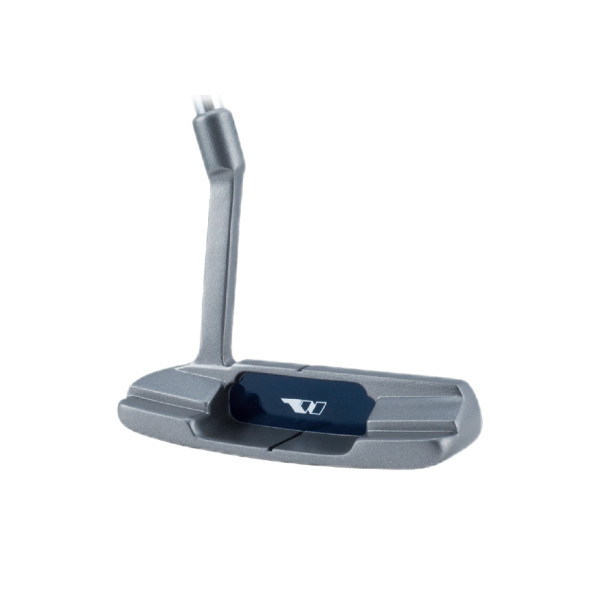 The classic heel-toe weighted putter has 3° loft angle with a solid 335 gram weight head for accurate putting. Future Pro shafts are specifically designed to be the right flexibility for junior players, Ages 6 to 11. 42" Under 35 32" 28"
42" Over 35 33" 29"
44" Under 38 32" 28"
44" Over 38 33" 29"
46" Under 42 34" 29"
46" Over 42 35" 30"
48" Under 50 34" 29"
48" Over 50 35" 30"
50" Under 58 36" 31"
50" Over 58 37" 32"
52" Under 66 36" 31"
52" Over 66 37" 32"
54" Under 74 37" 32"
54" Over 74 38" 33"
56" Under 80 38" 33"
56" Over 80 39" 34"
58" Under 86 39" 34"
58" Over 86 40" 35"
60" Under 94 39" 34"
60" Over 94 40" 35"
62" Under 104 40.5" 35"
62" Over 104 41.5" 36"